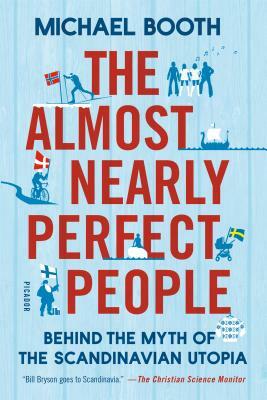 A witty, informative, and popular travelogue about the Scandinavian countries and how they may not be as happy or as perfect as we assume, “The Almost Nearly Perfect People offers up the ideal mixture of intriguing and revealing facts” (Laura Miller, Salon). Why are the Danes so happy, despite having the highest taxes? Do the Finns really have the best education system? Are the Icelanders as feral as they sometimes appear? How are the Norwegians spending their fantastic oil wealth? And why do all of them hate the Swedes? In The Almost Nearly Perfect People Michael Booth explains who the Scandinavians are, how they differ and why, and what their quirks and foibles are, and he explores why these societies have become so successful and models for the world. Along the way a more nuanced, often darker picture emerges of a region plagued by taboos, characterized by suffocating parochialism, and populated by extremists of various shades. They may very well be almost nearly perfect, but it isn’t easy being Scandinavian. Michael Booth is the author of multiple works of non-fiction, including The Almost Nearly Perfect People and Super Sushi Ramen Express. His writing appears regularly in The Guardian, The Independent, The Times, The Telegraph, and Condé Nast Traveler magazine, among many other publications globally. He is the Copenhagen correspondent for Monocle magazine and Monocle 24 radio, and travels regularly to give talks and lectures on the Nordic lands and their peculiar, nearly perfect people. He lives in Denmark with his wife and two sons.